Provide a new touch to your interior by decorating it with smooth and cozy pure New Zealand wool carpet which contains an erased pattern. The erased design is a very popular design for the modern carpet and this carpet is well suited for a modern décor. Energetic and vibrant, the Wool Handknotted modern reflects the intricacy of the design and hard craftsmanship of weavers. 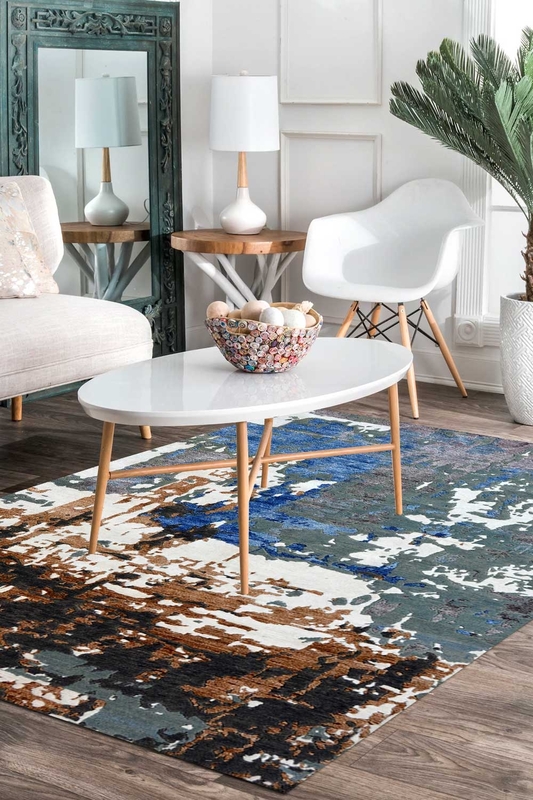 Ideal for the fashion-forward decorator who is looking for a Modern and contemporary look in floor coverings, This wool area rug delivers artful sophistication in a choice of patterned and modern designs. It contains Erased pattern with the combination of brown, blue and ivory colors.